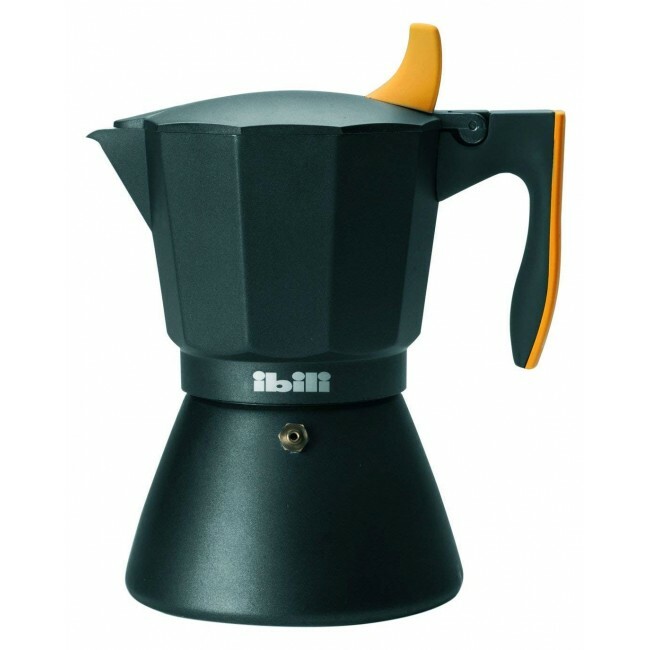 The aluminium Black Espresso Coffee Maker 3 cups with plastic handle is a very good product from the Ibili Sensive collection. Beautiful presentation and modern, this Ibili Espresso Sensive Coffee Maker will make the difference at your table. Coffee lovers will be pleasantly surprised by the use of the Ibili 3 Cups Sensive Espresso Coffee Maker.